When Los Angeles-based designers, Ron Woodson and Jaime Rummerfield decided to join forces and merge their interior design firms, they probably did not anticipate just how successful their union would be. 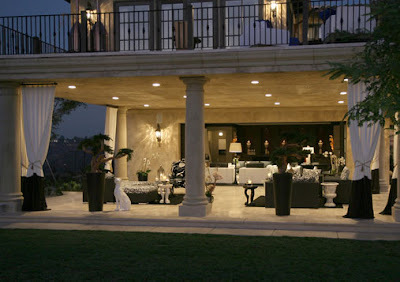 In addition to designing the homes of high-profile clients like Tori Spelling, the pair also have a very successful boutique consisting of "pedigreed decorative arts, tailored and noteworthy furniture, graphic wallpapers, unique lighting, and accessories for the home". The well-curated showroom also serves as a source of inspiration for Woodson and Rummerfield's clients. The duo have coined the term "MODAGE". Not sure what that means? 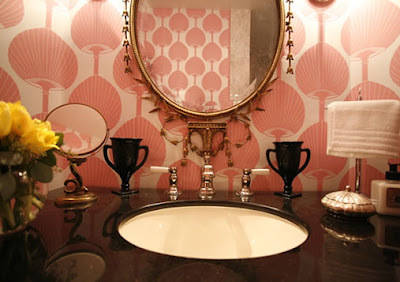 The designers explain it as such: "…Fancy entering the home of your great aunt you have always admired. She had impeccable taste and she traveled all over the world. 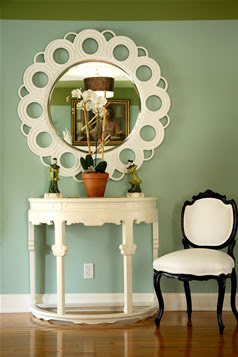 Her home décor has exquisite furniture, art, and decorative arts. In a way, she was a bit mad in the head, but all the objets d’artes and interesting decoratives worked so well it became a place of wonder." 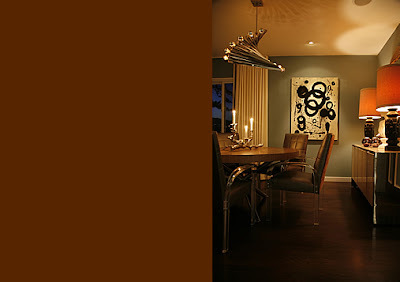 So, Modage is in fact a chic, whimsical, collected look that is eclectic, but very L.A. at its core. Woodson and Rummerfield have expanded their empire to include an online store, WRLust.com, as well as a storefront on 1stDibs. 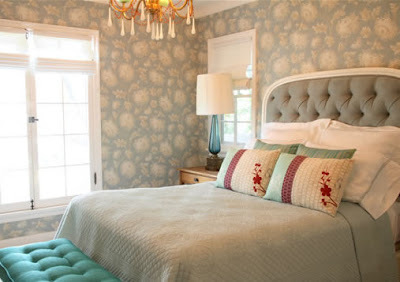 Both sites feature the pair's own furniture and wallpaper lines which feature an amazing selection. In order to share their expertise, the two designers have penned a book, appropriately titled High Style, which is available through their website. 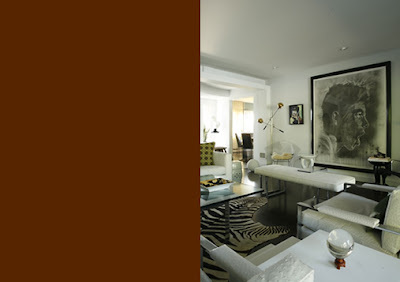 Both Woodson and Rummerfield were recognized on House Beautiful's list of "America's Top 25 Young Designers" in 2005 and have consistently proven that they are someone to watch. Their work has been featured in such publications as Domino, Traditional Home, Lucky, People, Western Interiors, and Metropolitan Home. While Hollywood Regency is certainly prevalent among their designs, these Woodson and Rummerfield are quite versatile and have an incredible eye for detail. Their look is young, hip, and exquisitely layered. 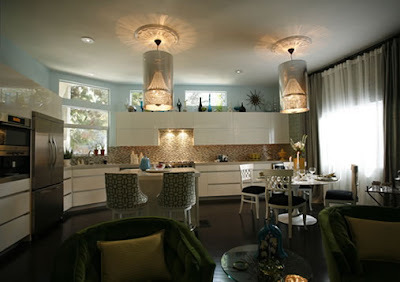 "Chic Retreat in Laurel Canyon"
Hi Paloma! These are gorgeous but I thought I'd correct you on something: "Micheltrona Silver Lake" more than likely is referring to the street Micheltorena in the Silver Lake neighborhood of Los Angeles. Thanks for the heads up, Anon! They actually spelled it like I did in their portfolio. Weird. Maybe someone goofed on their site. I love the Santa Monica home. It's more my style and aesthetic preference. 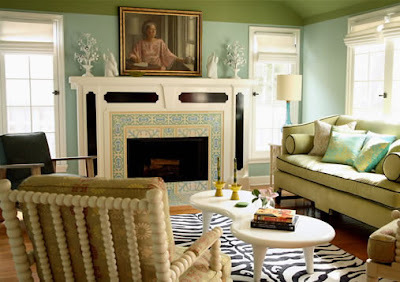 I love the cozy feel in the living room and the rug is such an eye-catcher. lovelife, that really brings a smile to my face! I hope you'll visit more often. When I first saw the photo of Jaime - I thought it was you with blonder hair! Ha - you look a lot like her! I think someone did goof on their site; I checked it. Oh well! The home is beautiful nonetheless. I check your blog on an almost daily basis. You have amazing taste!! Hi Paloma! I work at W&R and just wanted to let you know that the Chic Retreat project is a blogger's home indeed, Susanne Marques of Good Day L.A.
Also, Micheltorena is a street in the Silver Lake area and you wrote it correctly. It's just the way we sometimes name our projects, just like 11th Street Santa Monica. Thanks for the mention and we hope you check back again. 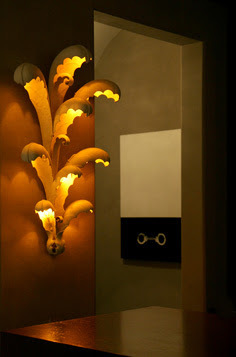 You can also check our new blog, W&R Stylefile for other inspirations.